Bertram Fletcher Robinson edited Vanity Fair between 1904 and 1907. During his editorship, he began advertising widely and also swapped publishing house from Arthur Evans to Harmsworth. These actions coupled with the recruitment of writers such as PG Wodehouse saw an increase in the readership of Vanity Fair. Between December 1905 and February 1907, Robinson also had a series of fifteen articles entitled Chronicles in Cartoon published in The Windsor Magazine. 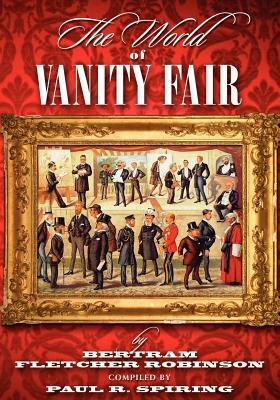 Within these articles, Robinson reviews the most prominent caricatures and accompanying Jehu Juniors to appear in Vanity Fair between 1868 and 1907. Collectively, these articles provide a fascinating insight into every aspect of late Victorian-life and they will interest both collectors of the famous caricatures and historians. During January 1907, Bertram Fletcher Robinson died aged just 36 years. His untimely death occurred just two months after he relinquished the editorship of Vanity Fair and just one month before the conclusion of his serialization, Chronicles in Cartoon. It is very likely that had he lived, he would have sought to have the fifteen items that were published in The Windsor Magazine compiled and republished in book form. Moreover, it is probable that he would have considered this work to be his magnum opus given that he was a graduate of History from Cambridge University. This book affords Robinson that posthumous opportunity.